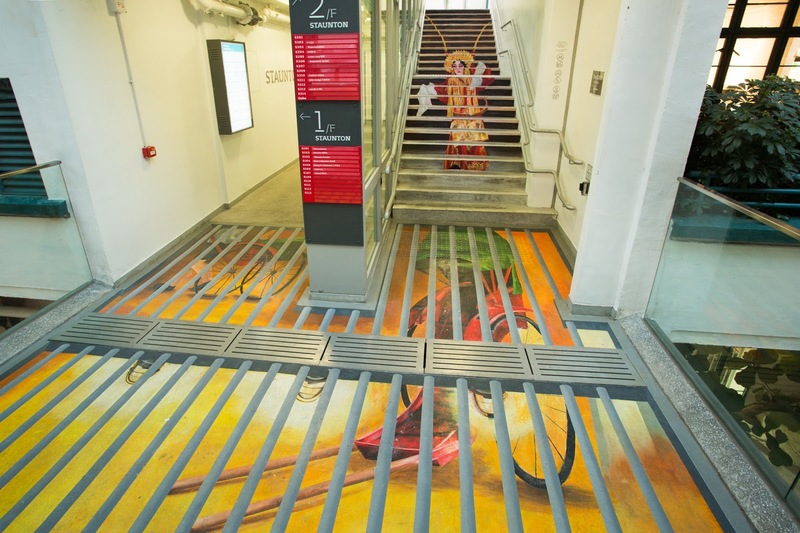 Omni Art is the first Hong Kong art group specialising in 3D floor paintings, wall paintings and other creative art projects. Led by local artist Lam Yuk Fai, four young artists including Terena Wong, Cheng Kit Yu, Kum Ka Wai and Denise Yeung left their brushstrokes in various places around Hong Kong with a dream of making art everywhere and sharing their art ideas with everyone in the world. Upon their first encounter in a community art project in 2014, they started four 3D floor paintings in Tsuen Wan, and formed Omni Art. 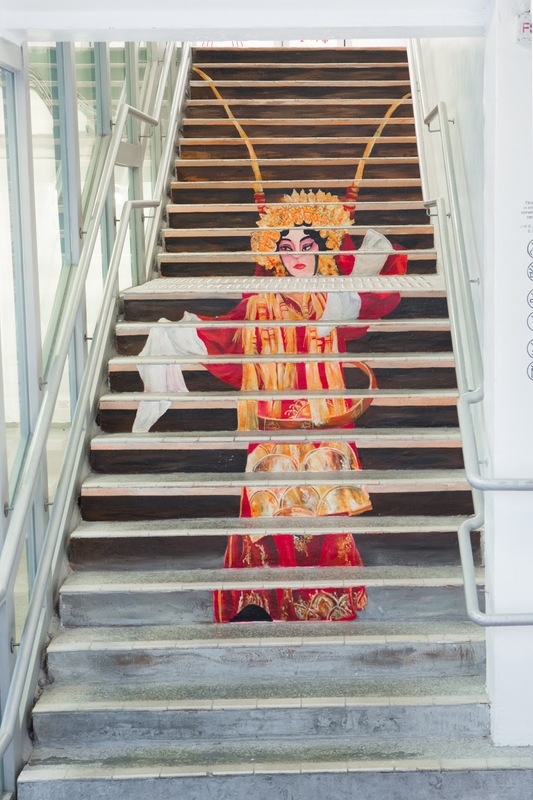 To date, they have created seven stair paintings across three districts in Hong Kong. 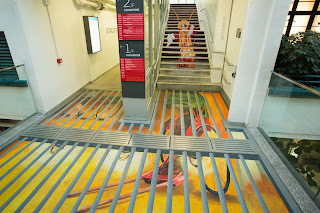 “Lost in Time PMQ" is a combination of stair paintings, floor paintings and installation. The concept is built on the historical background of PMQ and Hong Kong in the old days. The artwork is divided into four parts. 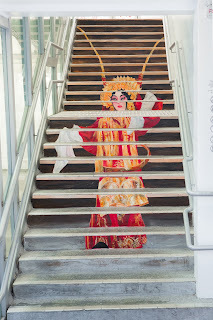 A Chinese opera artiste in her costume painted on the far most stairs seems to be stepping down, while painted on the floor beneath those stairs are the streets of Hong Kong in the 1950-60s. A rickshaw on the street is waiting for the artiste, while another rickshaw carrying a passenger is leaving on the far left. The modern female painted on the stairs up front appears to be the artiste passing through the world beneath and walking back up to the modern world. The juxtaposition of these scenes are divided by the painted iron bars on the floor: above the bars is modern-day Hong Kong and below the bars is Hong Kong in the old days. The best spot to capture this spectacle is near the stairs along Staunton Street.